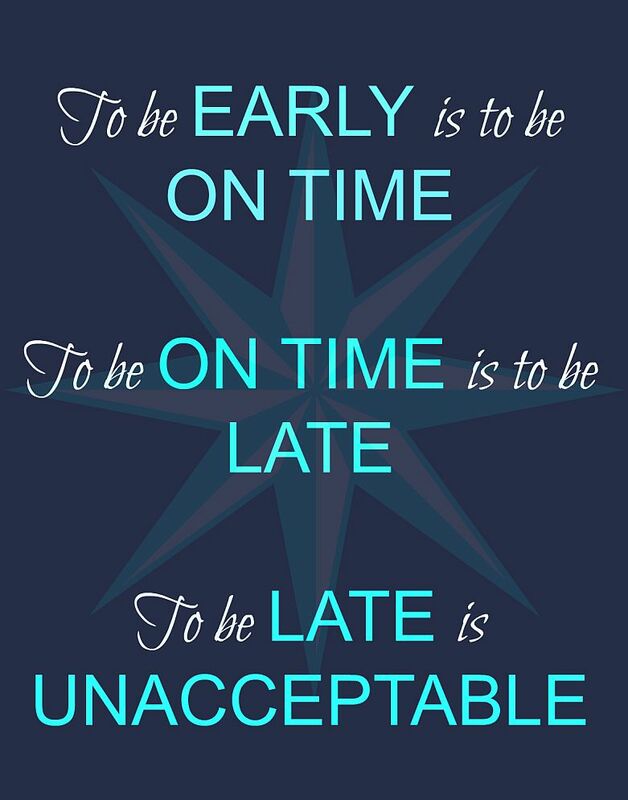 T has a great saying- “To be early is to be on time, to be on time is to be late, to be late is unacceptable.” I mentioned this to a friend and she thought it was a good one and even wrote it down. So I thought some of y’all might enjoy having a free printable of this quote- something to frame for your office? A reminder as you head out the door? Just click the photo to save/print (should print as an 8×10)! Our bedroom is right across the (tiny) hall from B’s room. There is also a bathroom up there, between the rooms. 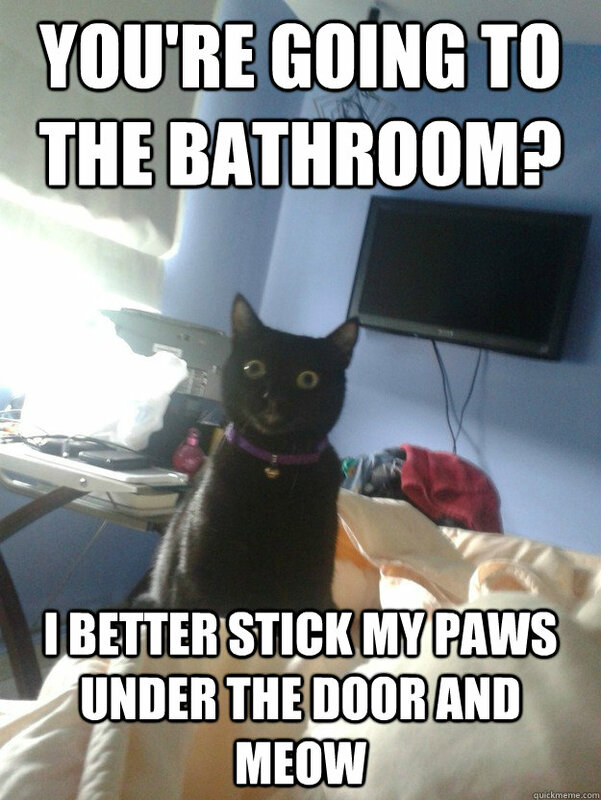 Every weekday morning, I wake up and tiptoe into the bathroom to get ready for work before B wakes up. I also wait until I close the bathroom door to turn on the light, because the light shines directly into his room otherwise. Even though he sleeps with a white noise machine, there are a few noises that can still be heard in his room- and because he usually wakes up around 6:30/6:45, his sleep is lightest at this time of day, so even though he’s a good sleeper I still make an effort to be quiet. Without fail, it seems like this time of the morning is like a magnet to all of our animals. One of our cats (Amber) loves getting ready with me in the morning (seriously- she sits on the counter and watches me get ready. It’s cute, but a little weird). Lately, she’s figured out what time I wake up and will greet me as I walk out of our bedroom with a very loud meow. Repeatedly. Until we go into the bathroom together (this is one of the things that can be heard in B’s room over the noise machine). Then the other cat, Tweaker, figures out I’m in the bathroom and suddenly decides she wants in, so will proceed to rip at the carpet outside until I open the door (this little cat is anything but polite). I have to turn the light off to open the door- so then she won’t come in the room without a lot of coaxing. It’s a wonder B sleeps through it all most days- but come on animals, give me a break!! I just want to get ready in peace!! 2014 arrived…and then I completely lost all motivation to blog. Whoops! However, right now I’m feeling the pressure. Joi just wrote a very lovely post summing up a lot of what I’m feeling- the pressure. To be THE best. Have the best blog design. Create pinterest-worthy things!! Get tons of blog traffic, tons of comments. Etc etc. And you know what? When I feel that pressure, the blog suddenly feels like work instead of fun. And then I start avoiding it, because I’m not having fun while I’m doing it. And then I start getting a ton of spammy comments and I avoid it even more. So that’s where I’ve been- hiding from the pressure and spammy comments, instead of enjoying myself. I’m still working on finding my voice and sorting out what I want this blog to be. And who am I blogging for anyway? Myself. So it needs to be fun, because unless it becomes my job, it has no business feeling like work. I already have a full time job for that! I’ll be back – and thanks to those who read and comment! If you have any posts that you’ve enjoyed in the past, speak up! You can help me figure out what direction to take this little blog in. Now that Thanksgiving is over, I can start thinking about decorating for Christmas. I refuse to put up any Christmas decorations before Thanksgiving, although the day after is fair game! Funny story though- growing up, my family and I used to go to a 4500 acre ranch in Northern California for Thanksgiving. My grandma had a house on the ranch, so every year my mom’s side of the family would gather there for Thanksgiving. Since we didn’t see that side of the family at Christmas, we would celebrate Christmas the day after Thanksgiving with them- complete with a little tree (cut down from the ranch property) and Christmas crackers (and if you’ve never had those, you’re missing out (hint: they’re not edible) The paper hats alone make it worth it) So growing up, we had a tree at Thanksgiving every year. Now I refuse to blend the two holidays. Go figure. I’m most excited about our mantle decorations- that’s probably my favorite inside decoration that we have, aside from our tree of course. I love love love a full mantle. Every time I take down our decorations for the year, our mantle just looks so empty and sad! I’ll be putting up my Noel sign again. The yarn wrapped trees will also make an appearance, minus the stars. One fell off last year and Kirby decided to eat it…sigh. I actually like them better without the stars, so maybe Kirby was just exercising his decorating opinion?? I’ll be sure to post some updated photos here soon! We get a live tree every year, and our winters here are SO dry- so we try to get the tree as late in the month as possible. So no Christmas tree yet. I’m a little nervous about B and the tree- so the later we get it the better I think, to avoid having to remove a one year old from the tree multiple times- ha! Our dining room table will be decorated as well, but I haven’t figured that out completely- I normally do a tablecloth but B has decided that tablecloths belong on the floor, not the table. So…place mats it is! So as I’m starting a new post for y’all, following up on my post from Friday…I realized that Friday’s post never went up. Shoot!! My scheduler must have had too much turkey on Thanksgiving and overslept…? Anyway, I’ll be posting that one for you today, and then coming back tomorrow for a post about our Christmas decorations!! 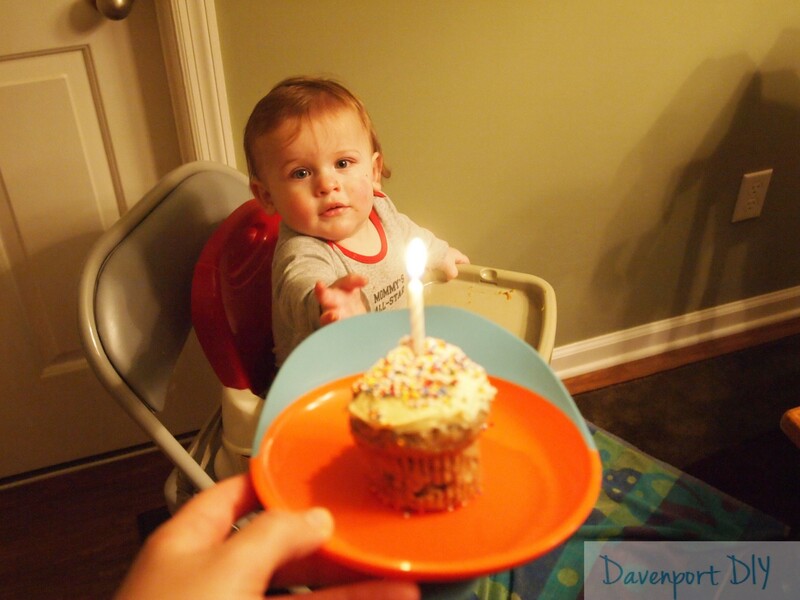 SOMEONE turned ONE. ONE!! How is that even possible??? AND, he took his first steps on Thanksgiving. Such a big boy. Quit growing up B!! I can’t believe I made it to the very end of NaBloPoMo. It wasn’t easy- and I had a few days there where I was OVER it. But I made it through! And it was great- getting to know some new bloggers and figuring out what I like to write about. December is going to be A LOT quieter around here, but don’t expect me to disappear completely. I’ve got some DIY projects brewing over here that have taken considerable longer to get together than I planned, but I’ll be posting about them at some point this month. Also, look for something new to show up in January (no, not a baby). Something fun is in the works! Thanks for reading along everyone!! 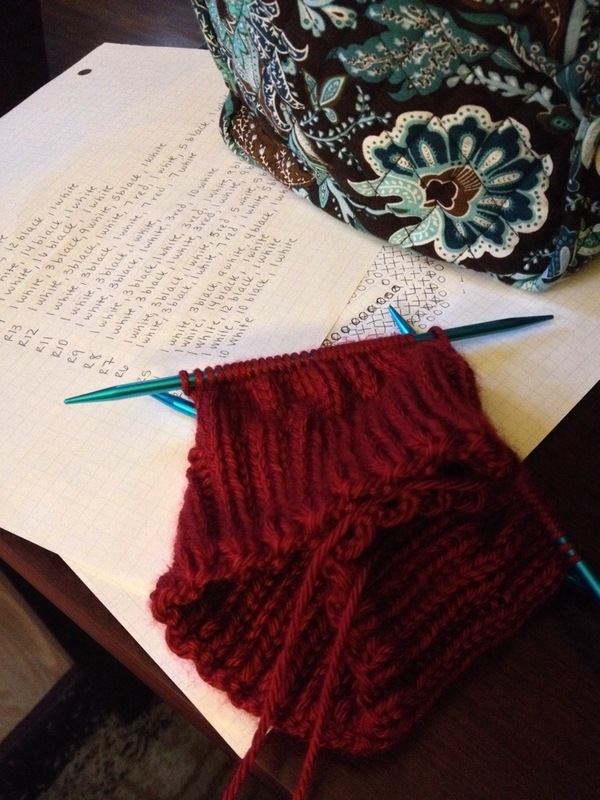 Knitting is an anti-climactic DIY project- it really doesn’t look like much until it’s finished, unfortunately. Pretty please (see button to the right)? And if bloglovin’ isn’t your cup of tea (or coffee), follow me on Facebook instead! Hey y’all…go check out Michelle’s blog Ten June (a fellow Georgia blogger)- she featured my baby snuggler tutorial! I will be back soon with a no ‘poo update!